Abraham MJ and Le J. The Correlation and Prediction of the Solubility of Compounds in Water Using and Amended Solvation Energy Relationship. J Pharm Sci 1999; 88:868-880. Adson A, Burton PS, Raub TJ, Barsuhn CL, Audus KL and Ho NFH. Passive Diffusion of Weak Organic Electrolytes Across Caco-2 Cell Monolayers: Uncoupling the Contributions of Hydrodynamic, Transcellular and Paracellular Barriers. J Pharm Sci 1995; 84:1197-1204. Akhlaghi F and Trull AK. Distribution of Cyclosporin in Organ Transplant Recipients. Clin Pharmacokinet 2002; 41:615-637. Beresford AP, Segall M and Tarbit MH. In silico Prediction of ADMET Properties: Are we Making Progress? Curr Opin Drug Discov Devel 2004; 7:36-42. Bernareggi A and Rowland M. Physiololgic Modeling of Cyclosporine Kinetics in Rat and Man. J Pharmacokinet Biopharm 1991; 19:21-50. Boffito M, Back DJ, Blaschke TF, Rowland M, Bertz RJ, Gerber JG and Miller V Protein Binding in Antiretroviral Therapies. AIDS Res Hum Retroviruses 2003; 19:825-835. Brown RP, Delp MD, Lindstedt SL, Rhomberg LR and Beliles RP. Physiological Parameter Values for Physiologically Based Pharmacokinetic Models. Toxicol Indust Health 1997; 13:407-484. Butina D, Segall MD and Frankcombe K. Predicting ADME Properties in silico: Methods and Models. Drug Discov Today 2002; 11(Suppl):S83-S88. Camenisch G, Folkers G and van de Waterbeembd H. Review of Theoretical Passive Drug Absorption Models: Historical, Background, Recent Developments and Limitations. Pharm Acta Helv 1996; 71:309-327. Chung NS and Wasan KM. Potential Role of the Low-density Lipoprotein Receptor Family as Mediators of Cellular Drug Uptake. Adv Drug Deliv Rev 2004; 56:1315-1334. Colmenarejo G. In silico Prediction of Drug-binding Strengths to Human Serum Albumin. Med Res Rev 2003; 23:275-301. Conradi RA, Hilgers AR, Ho NFH and Burton PS. The Influence of Peptide Structure on Transport Across Caco-2 Cells. Pharm Res 1991; 8:1453-1460. Conradi RA, Hilgers AR, Ho NFH and Burton PS. The Influence of Peptide Structure on Transport Across Caco-2 Cells. II. Peptide Bond Modification Which Results in Improved Permeability. Pharm Res 1992; 9:435-439. Conradi RA, Burton PS and Borchrdt RT. Physicochemical and Biological Factors that Influence a Drug's Cellular Permeability by Passive Diffusion. In: V Pliska, B Testa, H van de Waterbeemd, R Mannhold, H Kubinyi and H Timmerman. Lipophilicity in Drug Action and Toxicoloy,., VCH Publishers, BRD; 1996. Crimin KS, Orrenius C, Lee P, Gao H, Catana C, Crivori P, Dearden JC, Vidmar TJ, Goodwin JT, Stouten PFW and Burton PS. Prediction of Aqueous Solubility of Organic Molecules: Evaluation of Accuracy and Bias in Several Models. J Med Chem 2005; submitted. Crivori P, Poggesi I and Rocchetti M. Estimation of Human Drug Clearance from Chemical Structure. 14th European Symposium on Quantitative Structure-Activity Relationships. September 2002; Bournemouth, UK. Crivori P, Zamora I, Speed B, Orrenius C and Poggesi I. Model Based on GRID-Derived Descriptors for Estimating CYP3A4 Enzyme Stability of Potential Drug Candidates. J Comput Aided Mol Des 2004; 18:155-166. Curatolo W. Physical Chemical Properties of Oral Drug Candidates in the Discovery and Exploratory Development Settings. Pharm Sci Technol Today 1998; 1:387-393. Diamond JM. The Epithelial Junction: Bridge, Gate and Fence. Physiologist 1977; 20:10-18. Ekins S, Waller CL, Swaan PW, Cruciani G, Wrighton SA and Wikel JA. Progress in Predicting Human ADME Parameters in Silico. J Pharmacol Toxicol Methods 2000; 44:251-272. El Tayar N, Tsai R-S, Testa B, Carrupt P-A and Leo A. Partitioning of Solutes in Different Solvent Systems: The Contribution of Hydrogen-bonding Capacity and Polarity. J Pharm Sci 1991; 80:590-598. Ermondi G, Lorenti M and Caron G. Contribution of Ionization and Lipophilicity to Drug Binding to Albumin: A Preliminary Step Toward Biodistribution Prediction. J Med Chem 2004; 47:3949-3961. Ertl P, Rohde B and Selzer P. Fast Calculation of Molecular Polar Surface Area as a Sum of Fragment-based Contributions and its Application to the Prediction of Drug Transport Properties. J Med Chem 2000; 43:3714-3717. Drug Deliv Rev 2003; 55:107-124. Gao H, Shanmugasundaram V and Lee P. Estimation of Aqueous Solubility of Organic Compounds with QSPR Approach. Pharm Res 2002; 19:497-503. Germani M, Crivori P, Rocchetti M, Burton PS, Wilson AGE, Smith ME and Poggesi I. Evaluation of a Physiologically-based Pharmacokinetic Approach for Simulating the First-time-in-animal Study. Basic Clin. Pharmacol. Toxicol. 2005; 96:254-6. Gombar VK, Polli JW, Humphreys JE, Wring SA and Serabjit-Singh CS. Predicting P-glycoprotein Substrates by a Quantitative Structure-Activity Relationship Model. J Pharm Sci 2004; 93:957-968. Grass GM and Sinko PJ. Physiololgically-based Pharmacokinetic Simulation Modeling. Adv Drug Deliv Rev 2002; 54:433-451. Gumbiner B. Structure, Biochemistry, and Assembly of Epithelial Tight Junctions. Am J Physiol 1987; 253:C749-C758. Hansch C, Quinlan JE and Lawrence GL. The Linear Free Energy Relationship Between Partition Cofficients and the Aqueous Solubility of Organic Liquids. J Org Chem 1968; 33:347-350. Hansch C, Leo A, Mekapati SB and Kurup A. QSAR and ADME. Bioorg Med Chem 2004; 12:3391-3400. Harris DL. In silico Predictive Metabolism: A Structural/electronic Filter Method. Curr Opin Drug Discov Devel 2004; 7:43-48. Hilgers AR, Smith DP, Biermacher JJ, Day JS, Jensen JL, Sims SM, Adams WJ, Friis JM, Palandra J, Hosley JD, Shobe EM and Burton PS. Predicting Oral Absorption of Drugs: A Case Study with a Novel Class of Antimicrobial Agents. Pharm Res 2003; 8:1149-1155. Hirano M, Maeda K, Shitara Y and Sugiyama Y. Contribution of OATP2( OATP1B1) and OATP8 (OATP1B3) to Hepatic Uptake of Pitavastatin in Humans. J Pharmacol Exp Ther 2004; 311:139-146. Ho NFH, Park JY, Morozowich W and Higuchi WI. Physical Model Approach to the Design of Drugs with Improved Intestinal Absorption. In: Roche EB. Design of Biopharmaceutical Properties Through Prodrugs and Analogs, American Pharmaceutical Association, Academy of Pharmaceutical Sciences, Washington, DC. 1977:136-227. Ho NFH, Park JY, Ni PF and Higuchi WI. Advancing Quantitative and Mechanistic Approaches in Interfacing Gastrointestinal Drug Absorption Studies in Animals and Man. In: Crouthamel WG and Sarapu A. Animal Models for Oral Drug Delivery in Man: In Situ and in vivo Approaches. AphA/APS, Washington, D.C. 1983: 27-106. Huuskonen J. Estimation of Aqueous Solubility for a Diverse Set of Organic Compounds Based on Molecular Topology. J Chem Inf Comput Sci 2000; 40:773777. Kerns, EH and Di L. Pharmaceutical Profiling in Drug Discovery. Drug Discov Today 2003; 8:316-323. Jackson MJ. Drug Transport across Gastrointestinal Epithelia, in Physiology of the Gastrointestinal Tract, Second Edition (Johnson LR, ed) 1987; Raven Press, New York, pp 1597-1621. Johnson KC and Swindell AC. Guidance in the Setting of Drug Particle Size Specifications to Minimize Variability in Absorption. Pharm Res 1996; 13:17951798. Jones JP, Mysinger M and Korzekwa KR. Computational Modles for Cytochrome P450: A Predictive Electronic Model for Aromatic Oxidation and Hydrogen Atom Abstraction. Drug Metab Dispos 2002; 30:7-12. Jorgensen WL and Duffy EM. Prediction of Drug Solubility from Monte Carlo Simulations. Bioorg Med Chem Lett 2000; 10:1155-1158. Drug Deliv Rev 2002; 54:355-366. Kamlet MJ, Doherty RM, Abboud JLM, Abraham MW and Taft RW. Linear Solvation Energy Relationships:36. Molecular Properties Governing Solubilities of Organic Nonelectrolytes in Water. J Pharm Sci 1886; 75:338-349. Katritzky AR, Wang Y, Tamm T and Karelson M. QSPR Studies on Vapor Pressure, Aqueous Solubility, and the Prediction of Water-air Partition Coefficients. J Chem Inf Comput Sci 1998; 38:720-725. Katritzky AR, Maran U, Lobanov VS and Karelson M. Structurally Diverse Quantitative Structure-property Relationship Correlations of Technologically Relevant Physical Properties. J Chem Inf Comput Sci 2000; 40:1-18. Kottra G and Frömter E. Functional Properties of the Paracellular Pathway in Some Leaky Epithelia. J Exp Biol 1983; 106:217-229. Kratochwil NA, Huber W, Muller F, Kansy M and Gerber PR. Predicting Plasma Protein Binding of Drugs: A New Approach. 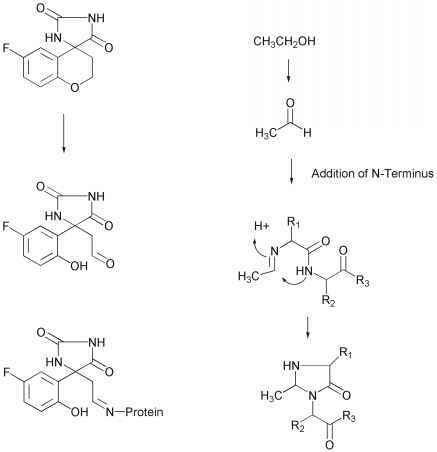 Biochem Pharmacol 2002; 64:13551374. Leahy DE. Progress in Simulation Modelling for Pharmacokinetics. Curr Topics Med Chem 2003; 3:1257-1268. Lewis FV, Jacobs MN and Dickins M. Compound Lipophilicity for Substrate Binding to Human P450s in Drug Metabolism. Drug Discov Today 2004; 9:530537. Lipinski CA. Drug-like Properties and the Causes of Poor Solubility and Poor Permeability. J Pharmacol Toxicol Methods 2000; 44:235-249. Lombardo F, Gifford E and Shalaeva MY. In Silico ADME Prediction: Data, Models, Facts and Myths. Mini Rev Med Chem 2003; 3:861-875. Lombardo F, Obach RS, Shalaeva MY and Gao F. Prediction of Human Volume of Distribution Values for Neutral and Basic Drugs.2. Extended Data Set and Leave-class-out Statistics. J Med Chem 2004; 47:1242-1250. McElroy NR and Jurs PC. Prediction of Aqueous Solubilty of Heteroatom-containing Organic Compounds from Molecular Structure. J Chem Inf Comput Sci 2001; 45:1237-1247. Chem Inf Comput Sci 2001; 41:1355-1359. Myrdal PB, Manka AM and Yalkowski SH. AQUAFAC 3: Aqueous Functional Group Activity Coefficients: Application to the Estimate of Aqueous Solubility. Chemosphere 1995; 30:1619-1637. Palm K, Luthman K, Ungell AL, Strandlund G and Artursson P. Correlation of Drug Absorption with Molecular Surface Properties. JPharm Sci 1996; 85:32-39. Palm D, Stenberg P, Luthman K and Artursson P. Polar Molecular Surface Properties Predict the Intestinal Absorption of Drugs in Humans. Pharm Res 1997; 14:568-571. Papageorgiou C, Camenisch G and Borer X. Cell Permeability as a Parameter for Lead Generation in the Protein Tyrosine Kinase Inhibition Field. Bioorg Med Chem Lett 2001; 11:1549-1552. Poggesi I. Predicting Human Pharmacokinetics from Preclinical Data. Curr Opinion Drug Discov Develop 2004; 7:100-111. Poulin P and Krishnan K. An Algorithm for Predicting Tissue:blood Partition Coefficients of Organic Chemicals from n-Octanol:water Partition Coefficient Data. J Toxicol Environ Health 1995; 46:117-129. Poulin P and Theil FP. A priori Prediction of Tissue:plasma Partition Coefficients of Drugs to Facilitate the use of Physiologically-Based Pharmacokinetic Models in Drug Discovery. J Pharm Sci 2000; 89:16-35. Poulin P and Theil FP. Prediction of Pharmacokinetics prior to in vivo Studies. II. Generic Physiologically Based Pharmacokinetic Models of Drug Disposition. J Pharm Sci 2002; 91:1358-1370. Raub TJ. Early Preclinical Evaluation in Support of Hit Identification and Lead Optimization for Brain Exposure. This volume, 2004. Rowland M, Balant L and Peck C. Physiologically Based Pharmacokinetics in Drug Development and Regulatory Science: A Workshop Report (Georgetown University, Washington,DC, May 29-30, 2002). AAPS PharmSci 2004; 6:1-12. Ruelle P. The n-Octanol and n-Hexane/water Partition Coefficient of Environmentally Relevant Chemicals Predicted from the Mobile Order and Disorder (MOD) Thermodynamics. Chemosphere 2000; 40:457-512. Seelig A. A General Pattern for Substrate Recognition by P-glycoprotein. Eur J Biochem 1998; 251:252-261. Seiler P. Interconversion of Lipophilicities from Hydrocarbon/water Systems into the Octanol/water System. Eur J Med Chem 1974; 9:473-479. Stenberg P, Luthman K and Artursson P. Prediction of Membrane Permeability to Peptides from Calculated Dynamic Molecular Surface Properties. Pharm Res 1999; 16:205-212. Stouch TR and Gudmundsson O. Progress in Understanding the Structure-activity Relationships of P-glycoprotein. Adv Drug Deliv Rev 2002; 54:314-328. Stouch TR, Kenyon JR, Johnson SR, Chen X, Doweyko A and Li Y. In silico ADME/Tox: Why Models Fail. J Comp-Aided Mol Design 2003; 17:83-92. Tsuji A and Tamai E. Carrier-mediated Intestinal Transport of Drugs. Pharm Res 1996; 13:963-977. Tsujikawa K, Dan Y, Nogawa K, Sato H, Yamada Y, Murakami H, Ohtani H, Sawada Y and Iga T. Potentiation of Domperidone-induced Catalepsy by a P-glycoprotein Inhibitor, Cyclosporin A. Biopharm Drug Dispos 2003; 24:105-114. Valvani SC, Yalkowsky SH and Roseman TJ. Solubility and Partitioning IV: Aqueous Solubility and Octanol-water Partition Coefficiencts of Liquid Nonelectrolytes. J Pharm Sci 1981; 70:502-507.
van de Waterbeembd H and Gifford E. ADMET in silico Modelling: Toward Prediction Paradise? Nat Rev Drug Discov 2003; 2:192-204. Westergaard H and Dietschy JM. Delineation of the Dimensions and Permeability Characteristics of the Two Major Diffusion Barriers to Passive Mucosal Uptake in the Rabbit Intestine. J Clin Investig 1974; 54:718-732. Wilson AGE, White AC and Mueller RA. Role of Predictive Metabolism and Toxicity Modeling in Drug Discovery. Curr Opinion Drug Discov Devel 2003; 6:123-128. Yalkowsky SH. Solubility and Solubilization in Aqueous Media. 1999; Oxford University Press, New York. Yu LX, Lipka E, Crison JR and Amidon GL. Transport Approaches to the Biopharmaceutical Design of Oral Drug Delivery Systems: Prediction of Intestinal Absorption. Adv Drug Deliv Rev 1996; 19:359-376. Yu LX and Amidon GL. A Compartmental Absorption and Transit Model for Estimating Oral Drug Absorption. Int J Pharm 1999; 186:119-125. Zamora I, Afzelius L and Cruciani G. Predicting Drug Metabolism: A Site of Metabolism Prediction Tool Applied to the Cytochrome P450 2C9. J Med Chem 2003; 46:3213-2324.